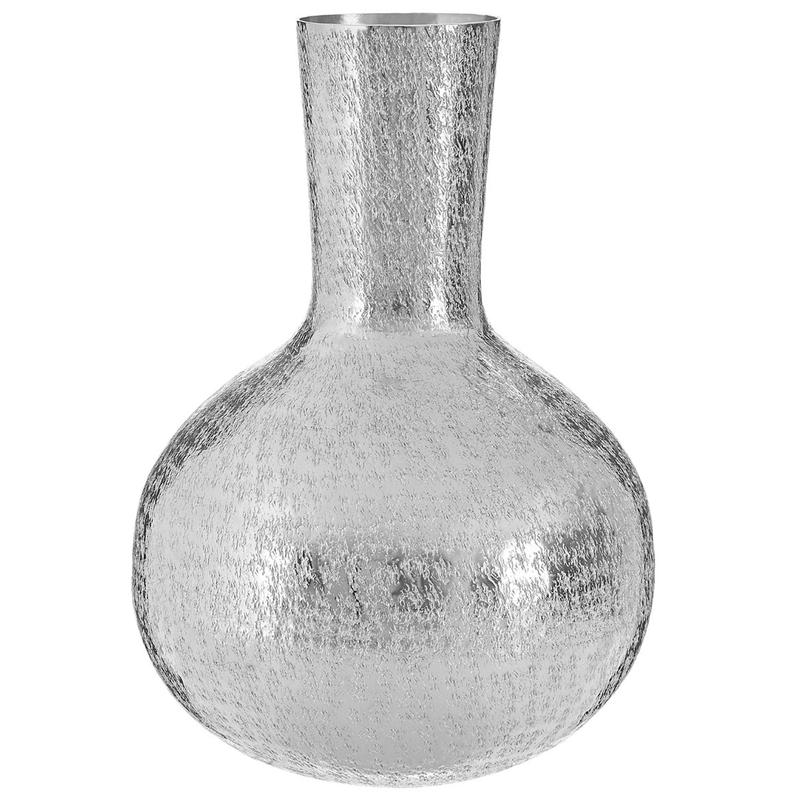 Make your home feel a lot more modern and furnished by introducing this magnificent Safia Bottle Vase. This vase has a very stylish design that looks very smooth and sleek, being sure to give off an inviting design. This vase is created from aluminium and is given a silver colour and a sparkling finish, being sure to convey a contemporary design.